Walking is a healthy habit. It’s good for the environment too. However, it doesn’t come without dangers. Pedestrians are among the most vulnerable road users. I have had two calls this week about High Schoolers being struck by cars while crossing the street. 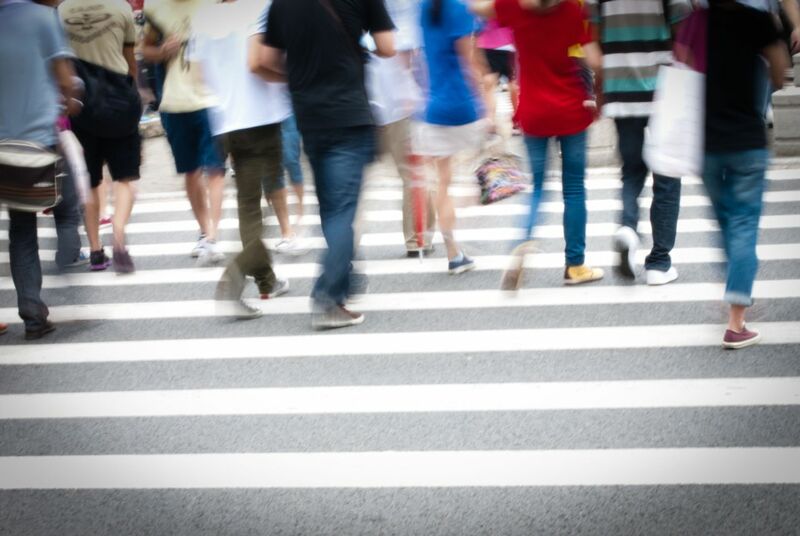 In a recent study conducted by the Louisville Metro Public Work, pedestrian injuries from 2006-2010 were analyzed and five intersections have been identified as the most dangerous. Among the locations dubbed as the most dangerous for pedestrians to cross are Second Street and Broadway; Fourth Street and Broadway; and Fourth and Market streets. Louisville has recorded an average of 16 pedestrian deaths and 404 pedestrian-vehicle collisions for each of the years included in the study. In an effort to keep pedestrians safe, police are now paying attention to these intersections, distributing safety pamphlets to both pedestrians and drivers. Pedestrian safety lessons are also provided in schools. According to the Kentucky Transportation Cabinet Office of Highway Safety, 4,735 pedestrians were killed while 66,000 were injured in traffic crashes in 2013. On average, one pedestrian is killed in a traffic crash every two hours while one gets injured for every eight minutes. During the same year, Louisville was ranked 19 on the list of cities with the pedestrian deaths higher than the national average. It’s sad and at the same time alarming. But, Louisville does not have to be a part of this list ever again. We can all take our part in maintaining pedestrian safety in roads. Let’s talk about few tips how to stay safe when walking on roadways. Use the crosswalk. Always use a crosswalk when it’s available. Check your surroundings first before crossing the street. Assist elders as you chance upon one when in crosswalks. And avoid any distractions, such as your phone or music player. Watch out. In case a crosswalk is not available, walk facing the traffic so you’d see approaching vehicles. Stay aware of what’s happening around you, but stay as far as you can from the travel lane. Also, note that parked vehicles can also be dangerous. When crossing the street, stop at the edge line of the parked car and observe the street first before finally crossing. Parked cars can block your view of approaching vehicles and also prevent drivers from seeing you. Increase visibility. Make sure that drivers can see you. When walking at night, wear bright clothing or carry a flashlight especially when you’re passing by poor-lit areas. As a Kentucky Accident Attorney, I appreciate Kentuckians who get into the habit of walking. Please make sure, though, to observe safety and maintain awareness of your surroundings. Let’s make Louisville a friendly place for pedestrians.